The push through bar on the trapeze table is a unique apparatus. There is no other apparatus that moves like it in the movement arena. Its rigid arc like movement is an excellent tool for providing feedback, challenge and guidance for shoulder movement. In this course we will discuss healthy movement of the shoulder and how to use the push through bar effectively to bring about healthy shoulder movement in your clients and yourself. 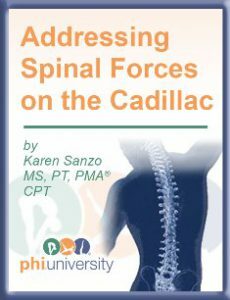 This workshop presented by Kathy Sanzo, MSPT will demonstrate how the Cadillac or Tower System can both facilitate and challenge spinal movements. 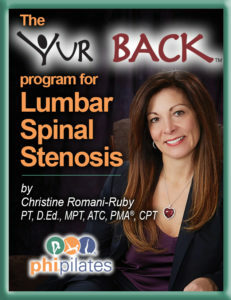 With a deep understanding of the longitudinal system of the spine and its supporting structures, this workshop and workout will allow you the opportunity to see and experience the many forces that challenge the spine throughout daily activities. An experienced teacher understands the purpose and function of movement patterns, how to program these movements on the Cadillac, and how they relate to daily life. This workshop will help you create a program that incorporates mobility, stability, flexibility, core strength, balance, and coordination. We will examine new ways to use the equipment, while recognizing and respecting the biomechanical fundamentals. Focus on your teaching skills with this 8 module online course by Chrissy Ruby. The course comes with a complete film of the 105 minute workshop on DVD and includes online handouts and quizzes. 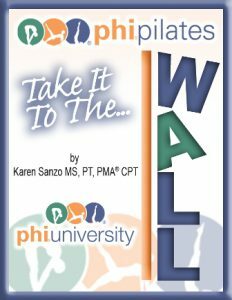 Learn how to effectively cue the Pilates matwork and how and when to modify or progress an exercise. In this course, you will learn how to effectively cue the Pilates mat work and how and when to modify or progress an exercise. This course will set you apart from other teachers and give you the skills to challenge even the most advanced participant. A lack of recruitment of the Gluteus Maximus is present in many athletes with a history of low back pain, ankle sprain, plantar fasciitis and many other lower quarter injuries. 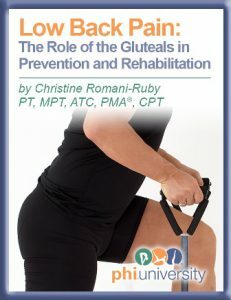 It is undetermined if the dysfunction of the Gluteus Maximus occurred before or after the injury, but this altered motor control pattern exists. This 3 credit hour course will cover the muscles and their functions and review the related research in a narrated powerpoint and then you will go to the lab to view mat and reformer exercises to improve this condition. The lab exercises are presented in MP4 files that you can download and keep for future reference. This is the online portion of the PHI Pilates Mat Level I Live Training course. The course includes narrated online presentations, quizzes, and the final exam. This portion needs to be completed to finish your Mat Level I experience and you must pass the test at 70%. 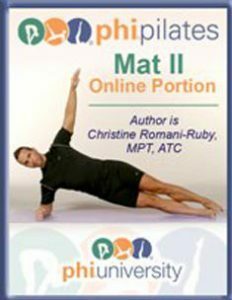 To complete this portion, you do need the required text “Pilates Matwork” that can be found on www.phipilates.com in the product store. This online course and testing may also serve as a bridge into the PHI Pilates program if you are already trained by another provider. Please call 877-716-4879 to discuss the bridge program. Pre-requisites: Pilates Mat Level I. If you have already registered for the Mat I Live Course, DO NOT register for this course. This course is included in that course fee and you will receive a log in 2 weeks prior to the live training course. 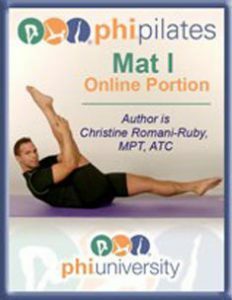 This is the online portion of the PHI Pilates Mat Level II course. The course includes narrated online presentations, quizzes, and the final exam. This portion needs to be completed to finish your Mat Level II experience and you must pas the test at 70%. 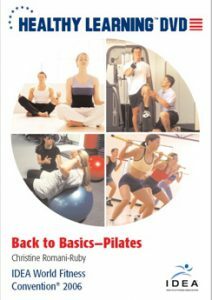 To complete this portion, you do need the required text “Pilates Matwork” that can be found on www.phipilates.com in the product store. This online course and testing may also serve as a bridge into the PHI Pilates program if you are already trained by another provider. Please call 877-716-4879 to discuss the bridge program. In this course less emphasis is placed on performance of advanced exercises and more emphasis on being able to handle the difficult participant. Learn to cater the exercises to the participant’s goals, learn to adjust and modify the exercise for special needs and general population, learn to mix advanced and beginner students in one class or personal train on the mat, along with some advanced and challenging exercises. If you have already registered for the Mat II Live Course, DO NOT register for this course. This course is included in that course fee and you will receive a log in 2 weeks prior to the live training course. Sway Back posture is a common factor in clients with Back Pain and other chronic syndromes. In this online course, view a narrated power point to learn about the characteristics and problems in sway back posture and review concepts surrounding the causes and effects of this posture. 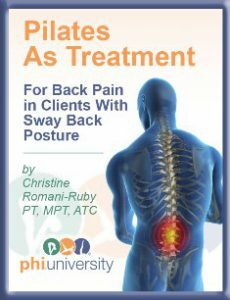 Then go to the lab with Chrissy to watch the postural evaluation and Pilates based exercise treatment of a gentleman with sway back posture and chronic low back pain. Exercises shown are on the Mat, Reformer, Trapeze Table, and Ladder Barrel. 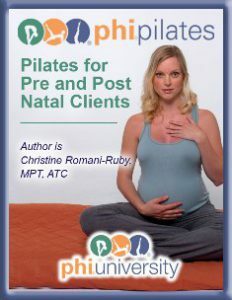 This 3.5 hour online course will teach the Pilates instructor how to work safely and effectively with a pre or post natal client. Learn the best ways to plan a program for a safe and effective exercise program. 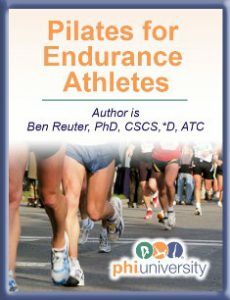 Endurance athletes are a growing sub-population in the US. Last year almost half a million people completed a marathon. Research studies show that between 50 and 90 percent of runners miss training time due to injury. Pilates, which emphasizes control of the core as well as strengthening of long weak muscles and lengthening of short strong muscles is well suited to be a part of an endurance athletes training regimen. In this streamed lecture, we will explore repertoire which keeps athletes functioning at their optimal potential. 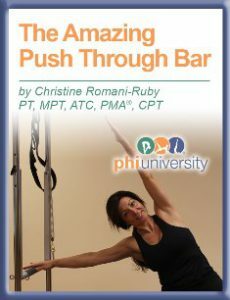 This course which is presented by Karen Sanzo, MS, PT, PMA® CPT is designed to facilitate advanced thinking prior to advancing exercises. This course will provide you with a new awareness of the muscles that often lie dormant during many exercises. Discover the role of the hamstrings and gluteals during a bridge. What about that famous quadruped position? Learn how the hands can make a better connection to the shoulder. Research regarding motor control and spinal stabilization will be briefly reviewed. The forward head posture is one of the most common postural faults of our clients. It results from extended periods in sitting, age, and overtraining. We see it in the young, the old, the inactive and even in our best athletes. If untreated it will eventually cause muscle imbalance in the cervical spine and may lead to herniated discs, numbness and tingling in the arms, shoulder problems and headaches. 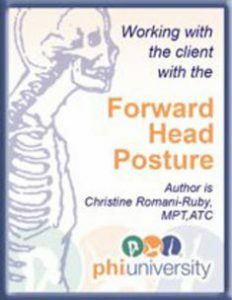 In this online course, Chrissy Ruby discusses the muscle imbalances that create and feed the forward head posture in a narrated power point lecture. There is a handout for you to print to view with the narration. 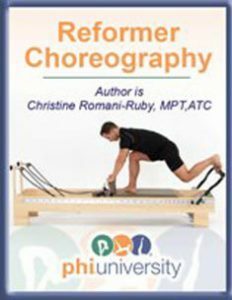 Then the camera follows Chrissy to her studio/clinic in Pittsburgh where she treats one of her clients using the Pilates reformer, pedipole, Cadillac, chair, mat, and ring. The course includes an online quiz and if you get 70%, you are able to print a certificate of completion. You get three attempts on the quiz. Over 95% of adults will experience low back pain at some time in their life. For many the length and strength of the gluteal musculature can be a contributing factor and the reason that the back pain persists. In this workshop, the Pilates instructor or physical therapist will identify shortness and weakness through Pilates movements and then use those movements to build muscle balance within their scope of practice. When working with a client with low back pain or doing a prevention program these exercises are key. Exercises in this course are on the mat, reformer, and Pilates chair. Many of the mat exercises use the Pilates loop resistance band. This 2-hour workshop focuses on new choreography for your reformer group classes or privates. If things are getting a bit stale, this will be sure to freshen it up! Chrissy Ruby presents new twists on old exercises as well as brand new creations that will liven up your classes adding challenge and interest. 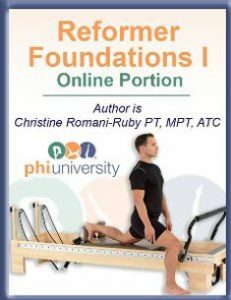 This is the online portion for the Reformer Foundations I course and the test out portion for the bridge program. Please be advised that you need prior permission to test out through the bridge program. If you have already registered for the Reformer Foundations 1 Live Course, DO NOT register for this course. This course is included in that course fee and you will receive a log in 2 weeks prior to the live training course. Lumbar Spinal Stenosis is a common disabling condition in the older adult. In this online workshop we will review the etiology of the condition, symptoms of clients with lumbar spinal stenosis and how they respond to movement. Then we will apply the YUR BACK Pilates program for safe and effective exercise, education and safe activities of daily living. We will discuss current research that presents spinal flexion and distraction as the most successful conservative treatments. The online course includes a 40 minute narrated lecture and 12 extended streamed movie clips between 5 and 8 minutes each of movement and exercise demonstration. To earn the CEU’s you must pass a 12 questions quiz at 70%. Three attempts are offered on the quiz.